Arlington House Dependency - Volz & Associates Inc.
George Washington Parke Custis, adopted grandson of George Washington, constructed Arlington House and its dependencies. In 1857, Robert E. Lee’s wife Mary Randolph Custis Lee and her son inherited the property. The family left Arlington in 1861 after Virginia succeeded from the Union. The U.S. government took over the property in 1864 and converted the estate into a Federal burial ground, now Arlington National Cemetery. 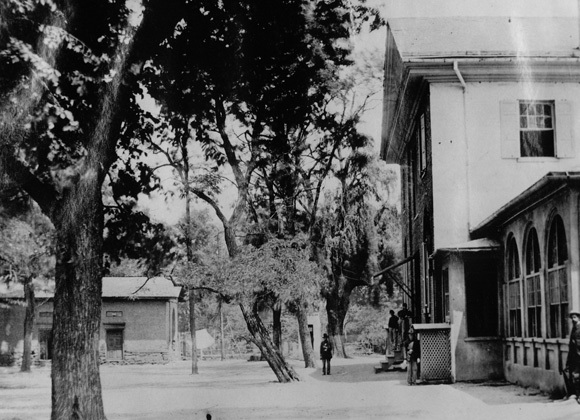 The dependencies, including a summer kitchen, service spaces, and servant housing were built ca. 1804. They have sustained many alterations under federal ownership. The discovery of a Civil War era photograph of a slave, “Uncle Joe”, provided new visual evidence for the east dependency interior. To learn more about the building, the National Park Service initiated work on a Historic Structures Report and sought our professional assistance. 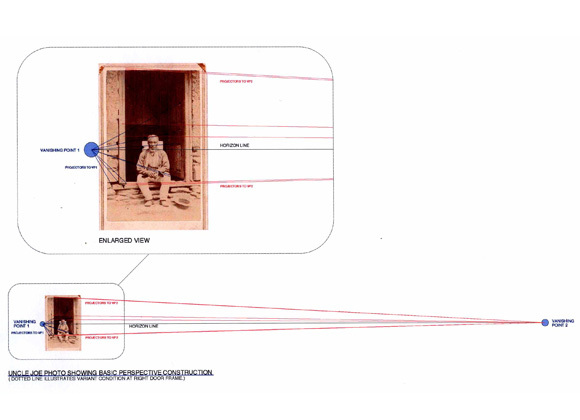 We undertook computer-aided reverse perspective studies of the “Uncle Joe” photograph, allowing original architectural elements to be located accurately in plan and elevation. These results, corroborated by physical investigation of the building, will guide development of construction documents for the restoration of both dependencies. Part of our work is published in the print version of Preservation Brief 43: The Preparation and Use of Historic Structure Reports, published by the National Park Service.